This post will explain the role of loss functions and how they work, while surveying a few of the most popular of the past decade. 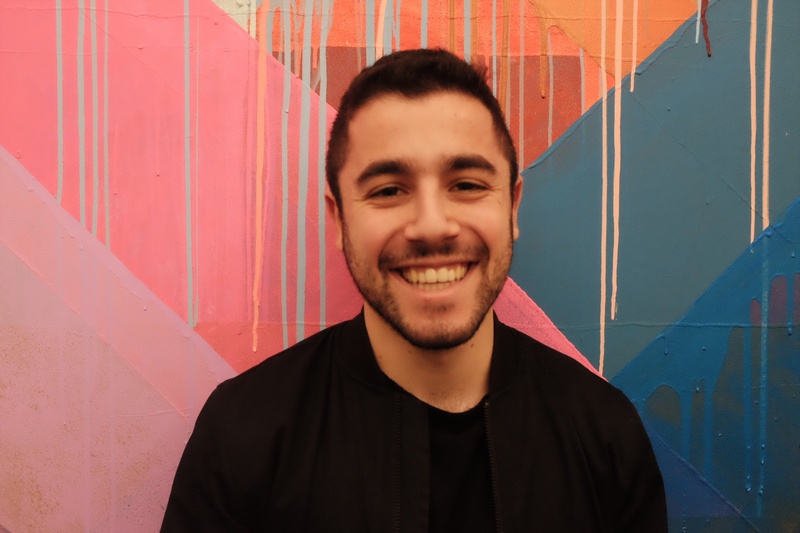 At its core, a loss function is incredibly simple: it’s a method of evaluating how well your algorithm models your dataset. If your predictions are totally off, your loss function will output a higher number. If they’re pretty good, it’ll output a lower one. As you change pieces of your algorithm to try and improve your model, your loss function will tell you if you’re getting anywhere. Notice how in the loss function we defined, it doesn’t matter if our predictions were too high or too low? All that matters is how incorrect we were, directionally agnostic. This is not a feature of all loss functions: in fact, your loss function will vary significantly based on the domain and unique context of the problem that you’re applying Machine Learning to. In your project it may be much worse to guess too high than to guess too low, and the loss function you select must reflect that. A lot of the loss functions that you see implemented in cutting edge Machine Learning today can get complex and confusing. Consider this paper from late 2017, titled A Semantic Loss Function for Deep Learning with Symbolic Knowledge. There’s more in that title that I don’t understand than I do. But if you remember the end goal of all loss functions––measuring how well your algorithm is doing on your dataset––you can keep that complexity in check. We’ll run through a few of the most popular loss functions currently being used, from simplest to most complex. Mean Squared Error (or MSE for short) is the workhorse of basic loss functions: it’s easy to understand and implement, and generally works pretty well. To calculate MSE, you take the difference between your predictions and the ground truth, square it, and average it out across the whole dataset. The likelihood function is also relatively simple, and is commonly used in classification problems. The function takes the predicted probability for each input example and multiplies them. And although the output isn’t exactly human interpretable, it’s useful for comparing models. For example, consider a model that outputs probabilities of [0.4, 0.6, 0.9, 0.1] for the ground truth labels of [0, 1, 1, 0]. The likelihood loss would be computed as (0.6) * (0.6) * (0.9) * (0.9) = 0.2916. Since the model outputs probabilities for TRUE (or 1) only, when the ground truth label is 0 we take (1-p) as the probability. In other words, we multiply the model’s outputted probabilities together for the actual outcomes. 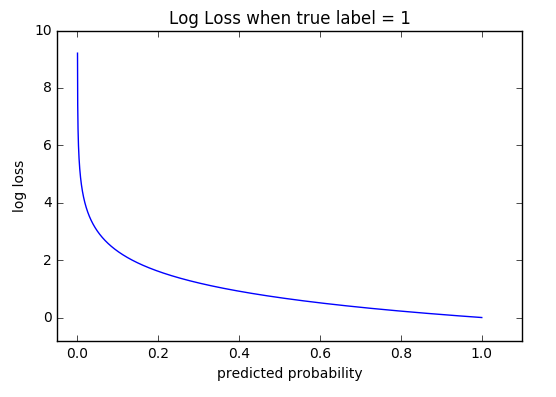 Log Loss is a loss function also used frequently in classification problems, and is one of the most popular measures for Kaggle competitions. It’s just a straightforward modification of the likelihood function with logarithms. This is actually exactly the same formula as the regular likelihood function, but with logarithms added in. You can see that when the actual class is 1, the second half of the function disappears, and when the actual class is 0 the first half drops. That way, we just end up multiplying the log of the actual predicted probability for the ground truth class. The cool thing about the log loss loss function is that is has a kick: it penalizes heavily for being very confident and then very wrong. Predicting high probabilities for the wrong class makes the function go crazy. The graph below is for when the true label =1, and you can see that it skyrockets as the predicted probability for label = 0 approaches 1. Loss functions provide more than just a static representation of how your model is performing – they’re how your algorithms fit data in the first place. Most Machine Learning algorithms use some sort of loss function in the process of optimization, or finding the best parameters (weights) for your data. For a simple example, consider Linear Regression. In traditional “least squares” regression, the line of best fit is determined through none other than Mean Squared Error (hence the least squares moniker)! For each set of weights that the model tries, the MSE is calculated across all input examples. 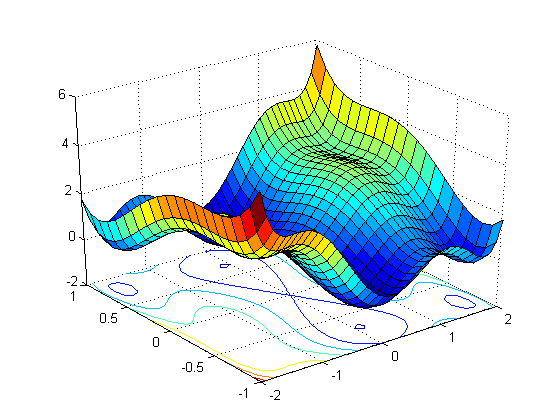 The model then optimizes the MSE functions––or in other words makes it the lowest possible––through the use of an optimizer algorithm like Gradient Descent. Just like there are different flavors of loss functions for unique problems, there is no shortage of different optimizers as well. That’s beyond the scope of this post, but suffice it to say that the loss function and optimizer work in tandem to fit the algorithm to your data in the best way possible. Risk And Loss Functions: Model Building And Validation (Udacity) – Part of the Model Building and Validation Course. 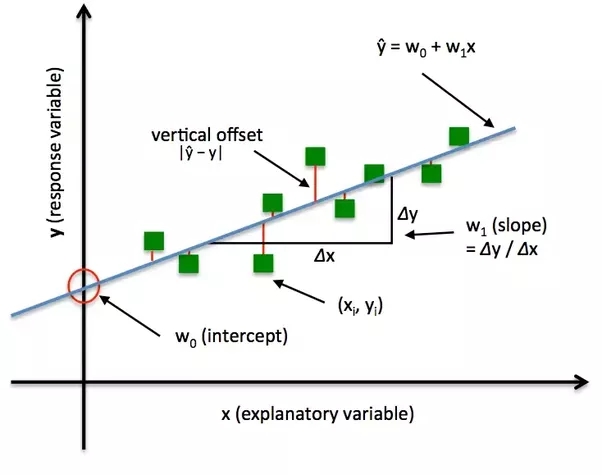 Logistic Regression Cost Function (Coursera) – Part of Andrew Ng’s Machine Learning course on Coursera.